Our scholarship programs provide students with a remarkable educational opportunity based on the generosity of our alumni and friends. Each scholarship from Yo San has a distinct eligibility requirement, award amount, and selection criteria. You will find the many scholarships available within one of these three categories: Master’s Degree program, Doctorate Degree program, and Company sponsored scholarships. The Founders’ Scholarship recognizes outstanding personal and professional achievements in new and transfer students to the MATCM Program. Award Amount: $1,000 in tuition credit. Eligibility: New MATCM students and transfer students with no more than 48 transfer credits. Selection Criteria: Demonstrated outstanding personal and professional achievement(s). No application is required other than application for admission. The President’s Scholarship recognizes academic excellence in the pre-clinical years in the MATCM program. Availability: Up to three (3) awards per trimester. Selection Criteria: For the initial award, applicants must submit a completed scholarship application. Renewal Criteria: The recipient(s) will be selected by a scholarship committee based on each applicant’s academic performance. The Yo San Legacy Scholarship recognizes academic excellence and perseverance in the MATCM program, and honors the continuation of the 39th generation of the Yo San Legacy as represented by our students. Award Amount: $1,000 tuition credit per trimester, renewable for six consecutive trimesters (for a total award amount of up to $6,000). Eligibility: Currently enrolled MATCM students who has completed at least two years (defined as 96 credit units) in the program. Availability: Up to two (2) awards per trimester. Renewal Criteria: The recipient(s) will be selected by a scholarship committee based on each applicant’s academic performance as well as contributions in general to the YSU community. The William H. Hazen Foundation Scholarship recognizes extraordinary academic achievement along with talent and demonstrated leadership potential. Award Amount: $ 4,000 disbursed over three consecutive trimesters. Eligibility: Currently enrolled MATCM students who have completed at least two years (defined as 96 credit units) in the program. Availability: One award per year. The Dean’s Prize is awarded every trimester to the student with the highest score on the MATCM Graduation Examination. Eligibility: First-time test-takers with a minimum test score of 80% is required. The Board of Trustees Meritorious Award is presented annually to the graduating student with the highest final cumulative grade point average (above 3.75). This award is presented at the annual commencement ceremony. Eligibility: Graduating student with the highest final cumulative grade point average (minimum GPA of 3.75). Award Amount: $1,500 tuition credit per trimester, renewable for three (3) consecutive trimesters (for a total award amount of up to $4,500). Availability: Up to three (3) awards per cohort. Selection Criteria: For the initial award, applicants must submit a completed scholarship application. The recipient(s) will be selected by a scholarship committee based on each applicant’s academic performance in his/her entry-level degree program, as well as documented personal and professional achievements. Renewal Criteria: Maintaining satisfactory academic progress in the DAOM program, as well as maintaining in overall good standing (payment of outstanding balances, absence of adverse disciplinary actions, etc). The Yo San Legacy Scholarship recognizes academic excellence and perseverance in the DAOM program, and honors the continuation of the 39th generation of the Yo San Legacy as represented by our students. Eligibility: Currently enrolled DAOM students who have maintain satisfactory academic progress in his/her first year of study in the DAOM program. Selection Criteria: For the initial award, applicants must submit a completed scholarship application. The recipient(s) will be selected by a scholarship committee based on each applicant’s academic performance as well as contributions in general to the YSU community. The DAOM Distinction Award is presented annually to the graduating DAOM student who has distinguished himself/herself in the multifaceted arenas of academic achievement, clinic excellence and scholarly activities. This award is presented at the annual commencement ceremony. Award Amount: $300 cash prize. Eligibility: Nominated by the DAOM Faculty for outstanding academic achievement, clinic excellence and scholarly activities. For more information on these scholarship eligibility and deadlines, please visit the respective links provided. Mayway is a California-based Chinese herbal medicine distributor with a strong dedication to the advancement of plant-based medicine and environmental preservation. To support these efforts, Mayway offers scholarships to the qualified master’s and doctoral level student in accredited acupuncture/oriental medicine colleges in the US. 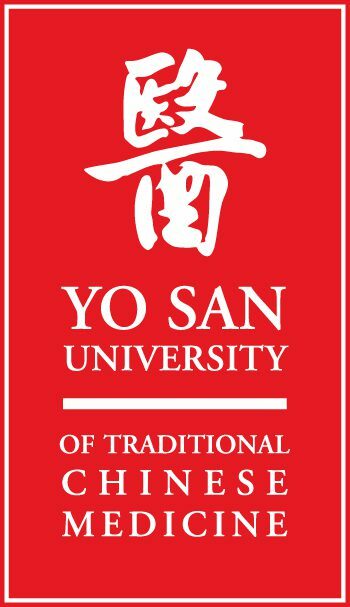 Three scholarships are available to students from Yo San University with a minimum cumulative 3.0 GPA. Through this scholarship program, Nuherbs Co. has pledged its ongoing support to the future of Chinese Medicine and this beautiful heritage of healing. The AOM Scholarship Fund established by the Trudy McAllister Foundation supports students who show promise of making significant contributions either to clinical practice and/or to the understanding of the role of Acupuncture and Oriental Medicine (AOM) in a modern context. The Foundation also supports research and related activities that promote the advancement of AOM. Three $1,000 scholarships are available each year to three students extraordinarily passionate and driven students about living a healthy lifestyle. A $1,000 scholarship is awarded annually to a student enrolled in either a master’s or doctoral degree program upon successful submission and acceptance for publication of an article in the Journal of Chinese Medicine (JCM). The purpose of the ABORM Annual Scholarship is to foster new scholarly inquiry in the field of Oriental Reproductive Medicine & Infertility for publication in the Journal of Chinese Medicine. Applications with topic proposals must be submitted to the ABORM by March 31st annually, and the winner will be notified by April 30th of that same year. The Hazen Emergency Fund was made possible by the generous gifts of YSU alumna Corie Tappin, L.Ac (MATCM Class of 2013). Through this fund, students in both the MATCM and DAOM programs may request an interest-free loan of up to $500 for bona fide emergencies, as long as funds are available. The fund operates on the good faith that the borrowers will repay the loan, as the monies loaned to students comes from the repayment of past borrowers. To apply for the Hazen Emergency Fund, please contact the YSU Director of Financial Aid. We’re here to serve as your mentors through the financial aid and scholarship application process. You can choose to schedule a session in person or over the phone to learn more about topics such as admission requirements, financial aid, and scholarships. 70% of the students at Yo San receive financial aid that is tailored to their individual needs. Most plans are a combination of scholarships, federally funded and private loans. We work with each applicant to create an affordable path towards joining our community.